Asnelles is a seaside resort of 252 hectares in the Calvados region of Lower Normandy. It has 570 inhabitants, (3,500 in the summer), and is connected to the *canton of Ryes. It is situated 13 kilometres north east of Bayeux, 85 kilometres from Deauville, and 248 kilometres from Paris. It was one of the places of the famous Normandy Landings on 6th June 1944, and in Asnelles the 231st Infantry Brigade led by General Alexander Stanier came ashore. The soldiers named this beach “Gold Beach”, but today it’s the sand surfers that besiege the beach, especially at competition time. 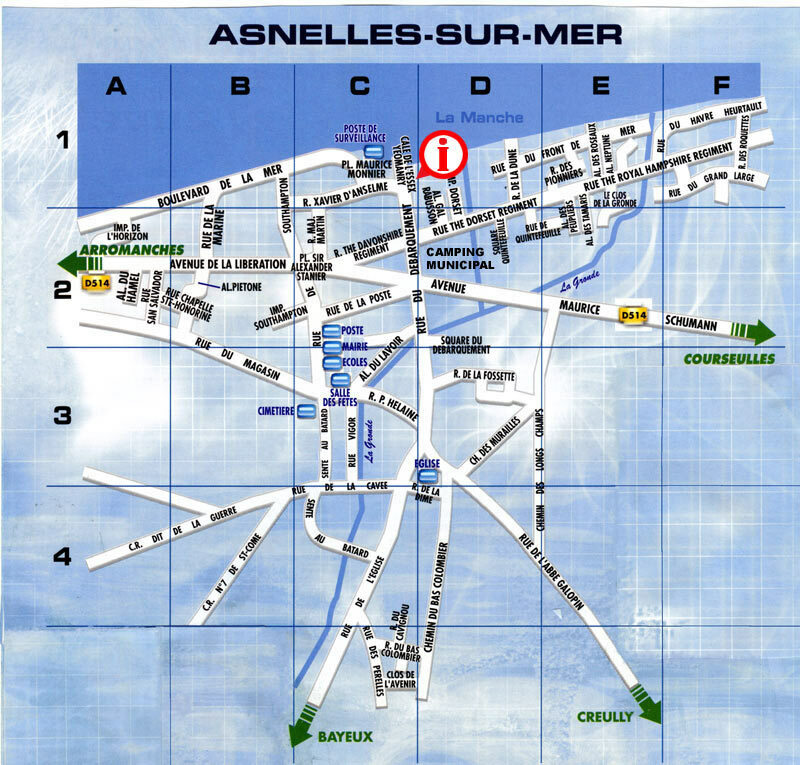 In fact, Asnelles has a very good sand-yachting club from which they have produced some great champions! -1– The church in Asnelles was used as a first aid post for the injured during the 6th June landings. The ancient cemetery lies close to the church. -2- The pathway leading to the washhouse. It’s an ideal walk for all on the family on a sunny Sunday afternoon. -3- The road leading to the church. -4- An unusual photo of the beach at Asnelles, the new “D-day”. -5- The bunker on the seawall in the direction of Saint Côme de Fresné. -6- A sunset on the Asnelles beach. -7- Riders on the beach. -8- Another sight of the Asnelles beach.